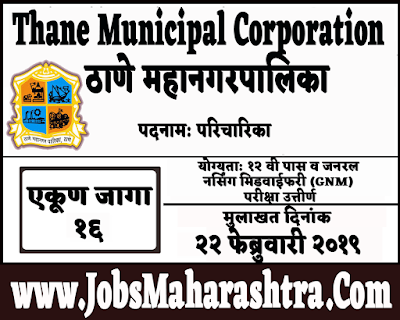 Thane Municipal Corporation inviting application 16 Nurse posts. Interested candidates who want to apply for these posts kindly attend the interview venue dated 22 February 2019. 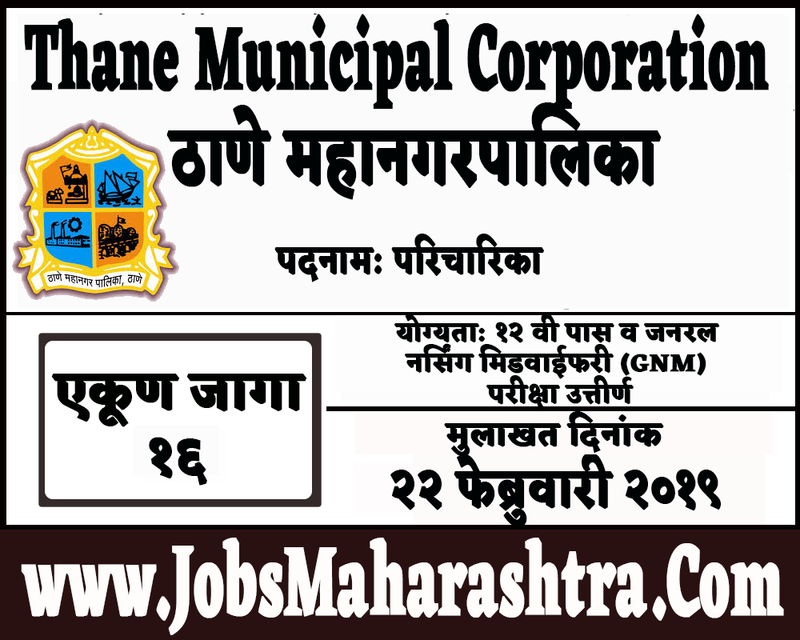 For more details like age limit, salary, how to apply, selection process please refer to the below article. Age Limit:- Maximum age limit is 18 years & Maximum age limit is 38 years. 12th Pass / General Nursing Midwifery (GNM) Exam Pass. Eligible candidates attend the interview venue on below given departmental address. Application form attached to the departmental advertising PDF given in the important web link section.